AUTO EXPRESS HAS BEEN IN BUSINESS FOR 19 YEARS! In these 19 years Auto Express has been selling quality pre-owned cars, trucks, suv's and vans from our Dalton MA location just outside of Pittsfield. All across the Berkshires and from New York, Vermont, Connecticut, New Hampshire and as far away as Florida you will find our vehicles and the happy customers that drive them. 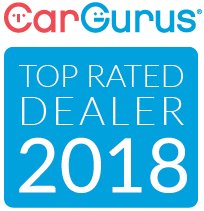 We have built our business and reputation on providing our customers with the highest quality pre-owned vehicles in the Berkshire County area and beyond, and we back up each sale with our guarantee. 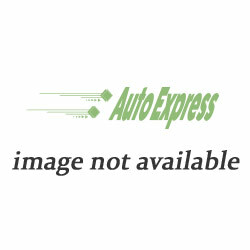 Dalton Auto Express is an Accredited business from the BBB with an A+ rating. Check us out! Dalton Auto Express will make sure you are happy with your pre-owned vehicle. Auto Express gives you a full Warranty on all of our pre-owned cars. Engine: 2.4L I4 181hp 175ft. lbs. Sept 22, 2018 ~ Couldn't be any happier with my experience. Elie and his team are more than helpful and went above and beyond to accommodate my needs for my out of state purchase. Jodi had all the paperwork in order by the time I had arrived and was very thorough in its completion. The price was competitive, and my trade in was very fair. The buying experience was much different than what you would have at a big dealership, you weren't being pushed into a deal you were uncomfortable with. Elie made sure you were happy and confident in the deal and I am very satisfied with my experience. August 7, 2018 ~ Excellent experience buying from Dalton Auto Express! Owners and staff are knowledgeable and friendly, they do not push you into buying, they simply answer your questions and leave you to make your decision. The car is serving me well and We will define return when we need our next vehicle. Oh & and they don’t charge hidden prep fees! Check them out, you’lol be glad you did! July 4, 2018 ~ We love Elie and Missy! This is a great family run business who really cares about their customers. We have purchased our last 8 vehicles from Elie and refuse to buy from anywhere else. Every car on the lot has been serviced from bumper to bumper and are absolutely spotless. They also refuse to put junk on the lot. Every vehicle has to pass Elie's list of demands before he will even think about selling it. I'm pretty sure he is more demanding than we are and we are pretty picky! So you know you are getting a quality vehicle. Plus, he stands behind every sale. I should also add that they are not high pressure sales people. All in all, just great people to do business with! Sept 13, 2017 ~ Simply the best dealership around! Nice family to do business with. Always has a nice selection of vehicles. Very fair on prices and works with you not against you! Dec 30, 2015 ~ Simply stated... Awesome. They went above and beyond anyone's expectation of what a preowned auto dealer would do. Clean, low miles, preowned vehicle that was better than expected. I drove up from Connecticut to look at this vehicle, brought up a check for the vehicle the next day. They not only registered the vehicle in Connecticut but delivered it to my place of business. Eli and Melissa are the epitome of preowned car dealers and I would do business with them over and over again. Thank you for a wonderful experience. May 28, 2015 ~ Had an excellent experience buying a car from Dalton Auto Express. No heavy handed salesmanship, jus good honest answers to questions, Everyone was really helpful.